As you probably know, we are big music lovers here at StarWalkKids, and we encourage parents to buy musical toys and instruments for their children as much as we can. This is because music is beneficial for kids in so many ways – not only do kids love making some noise, but learning music has positive effects on their cognitive development and their motor skills. One of the big questions we get from a lot of parents is advice on how to find a good music teacher for their child, as with so many different teachers, music schools and not a lot of regulation, it kinda seems like the wild west out there. Well, we’ve got a wealth of experience in this area, and we are happy to share our suggestions with you on finding the right teacher for your child. 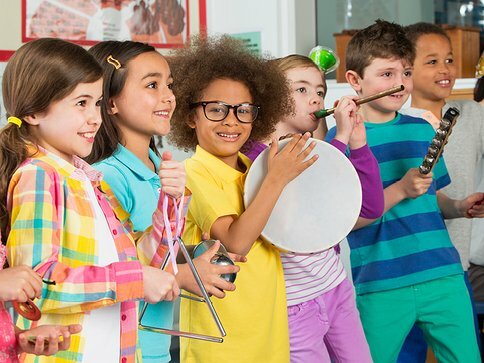 Where to Find a Music Teacher for Kids? Internet – the internet is a great way to find both local music schools and independent teachers. Just be aware that it is very easy to make yourself look great on a website, so being a little bit skeptical will do you know harm. Also, while those user reviews can be helpful, its easy to sign up for a bunch of fake email addresses and make yourself look amazing. Music stores – another great resource for finding teachers is to ask at your local music stores. You can find flyers and posters, and also don’t be afraid to ask the store manager or workers if they can recommend someone. School – You can always call up for child’s music school and ask to talk to one of the music teachers there. They will probably know someone who can help you out. While you are going to find a lot of different kinds of music teachers out there, from the very formal and traditional to the unconventional rock and rollers, there are a few things you should look for in a teacher, and ask for evidence of before booking lessons. Teacher training or certificate – Playing an instrument well doesn’t automatically mean they can teach how to play that instrument. We want our teachers to have some kind of teacher training before we let them near our kids. Experience – How long have they been in the game? Ask for evidence of their experience. Personality – this teacher is going to have a huge impact on your child’s life. They could inspire them to a lifetime love affair with music, or they could turn them off music for good. So, they better be kind, patient, understanding and good with children. 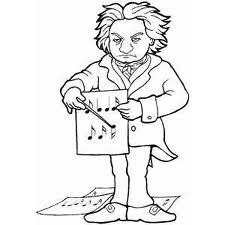 I’m sad to say it, but for every wonderful and inspirational music teacher out there, there’s a poor teacher who either doesn’t take his job seriously enough or doesn’t have what it takes. Spot a bad teacher a mile away with these tell-tale signs. Show offs – If the teacher seems more concerned with amazing everyone with his or her wonderful musical skills, be wary. Your kids are the ones who are supposed to dazzle and amaze, not the teacher. Unprofessional – We’ve met a lot of music teachers who are musicians who turned to teach when their music careers didn’t take off. Sadly, most of these people are just in it to make a few bucks and don’t really care about the children. If they seem unprofessional, unprepared or turn up late, find someone else. Too strict – Learning an instrument for a toddler is a hard process, and a good teacher needs to inspire your child and help them build confidence to get through the difficult times, especially when they first begin learning. If the teacher at any time is harsh with your child, belittles them or gets angry when they make a mistake, this person has no business teaching yours or anyone’s child. You want to try to do this inconspicuously, but it is a good idea to keep an eye on how the lessons are going and how the teacher is doing. After every lesson, have a chat with your little one and see how everything is going. If they don’t like their teacher or the lessons, talk with them to find out why, and be open to discussing finding another teacher for your child if they are not enjoying themselves.